An Australia Awards Scholarship provides you with the opportunity to gain an internationally recognised qualification from an Australian institution. It includes all the necessary support and funding to complete your study. 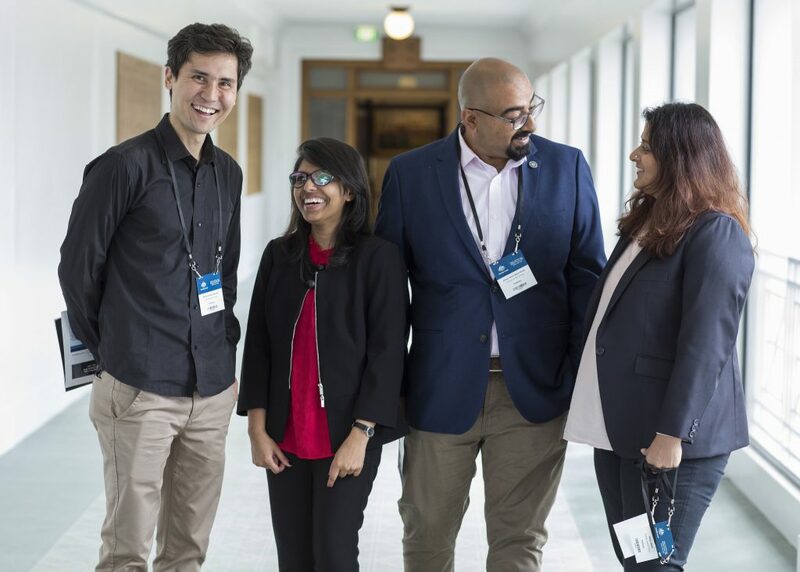 Your career will benefit from new knowledge, leadership skills and the links you create both in Australia and through the Australia Global Alumni network. On your return home, you can make a vital contribution to the social and economic development of Pakistan. The application process is transparent and competitive, providing equal opportunity to all eligible applicants, regardless of gender, ethnicity or disability. Australia Awards Scholarships will be offered to professionals working in sectors that support Pakistan to achieve the Sustainable Development Goals, with a particular focus on gender equality and the empowerment of women and girls, agriculture, and water security. Applications for Australia Awards Scholarships commencing in 2020 are now open and will close 30 April 2019. Apply now for your opportunity to gain world-class education and become an emerging leader for development with strong links to Australia. submit your application on OASIS. a PTE Academic overall score of 58 with no communicative skill score less than 50. Australia Awards are prestigious international Scholarships, Fellowships and Short Courses funded by the Australian Government. Australia Awards equip recipients with the skills and knowledge to drive change and contribute to the economic and social development of their own countries. All recipients of Australia Awards become part of the Australia Global Alumni network, connecting them to Australia and to each other — building an engaged and influential global network of leaders and advocates, and establishing a network of ambassadors for Australia and its first-class education system. An important area of focus for Australia Awards is the empowerment of women and the inclusion of people with disability and individuals from disadvantaged social groups. What are Australia Awards Scholarships? Australia Awards Scholarships are long-term development awards administered by the Australian Government’s Department of Foreign Affairs and Trade. They aim to contribute to the development needs of Australia’s partner countries in line with bilateral and regional agreements. They provide opportunities for people from developing countries, particularly those countries located in the Indo-Pacific region, to undertake full-time undergraduate or postgraduate study at participating Australian institutions. For Pakistan, Australia Awards Scholarships are offered for master’s degree-level study in fields agreed with partner governments and aligned with Australia’s development, economic and public diplomacy priorities. Relevant fields for study commencing in January 2020 will be announced closer to the application opening date. Australia Awards Scholarships are offered for the minimum period necessary for the individual to complete the academic program specified by the Australian higher education institution, including any preparatory training. Benefits include full tuition fees, return airfares, contribution to living expenses and medical insurance. Please check the Australia Awards Scholarships Policy Handbook for detailed information about Scholarship benefits and entitlements. Applicants who accept an Australia Awards Scholarship must sign a contract with the Commonwealth of Australia declaring that they will comply with the conditions of the Australia Awards Scholarship. Scholars are required to leave Australia for a minimum of two years after completing their Scholarship. Please be wary of false advertising and scams. Only refer to this website’s resources and the Department of Foreign Affairs and Trade’s website here for information regarding the application process for Australia Awards Scholarships. No money is paid for an Australia Awards opportunity at any stage of the process.